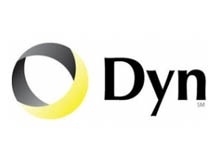 Dyn solutions connects people through the Internet. I am a strong believer that people work best when they are their own boss. This doesn't always mean literally. If you give people incentive and ownership and let them know their opinion matters, they are often more creative and more productive. Not only is this morally the right thing to do, it is the right thing to do from a business standpoint as well. Organizations that operate under a top down tyranny have employees who spend a large portion of their day looking for a new job. That is not an efficient way to run a company. If your employees are happy, taken care of and know their needs are met, they will spend their time making sure that your clients' needs are also met, which will lead to a more successful business.